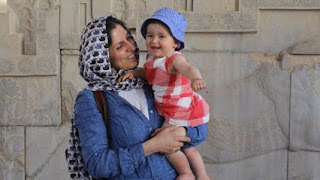 Nazanin Zaghari-Ratcliffe was dealt a blow two years ago, when she attempted to leave Iran after visiting family with her two-year old daughter. At the airport, she was arrested and later charged and convicted of attempting to overthrow the Iranian regime. Her family and the foundation that she works for denies these charges. Her sentence was five years in jail, of which she has now served two years. family in the city of Damavand within Tehran province. The conditions of her furlough from prison include no interviews with any media, no access to any foreign embassy, and that she cannot attempt to leave the country. Her family indicated that it would be amazing to have her home, especially since she has spent the past two years away from her daughter. The Thomson Reuters Foundation, a charity organization, is operated separate from Reuters News and is independent of Thomson Reuters. The CEO of the foundation said that her release was a positive sign, but that she hoped it would lead to Zaghari-Radcliffe’s permanent release. Her husband also indicated that her release was a surprise, but it was a welcome one. Zaghari-Radcliffe’s lawyer was confident that she would be allowed to remain outside of the prison beyond the three days prescribed in the furlough. 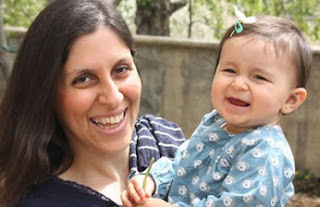 Her release was held up, according to sources, by a problem regarding a debt between the British government and the Iranian regime. That debt may have been part of an arms deal that fell apart in 1979 but left the Iranian regime out millions of dollars. Her husband noted that their little girl has largely grown up without both of her parents, and that the two of them will have to learn to parent their four-year old again. Questions remain about whether she will be allowed to leave Iran with her little girl at some point in the future. Her family in Iran has been caring for her daughter, since she was not allowed to leave Iran once her mother was detained.